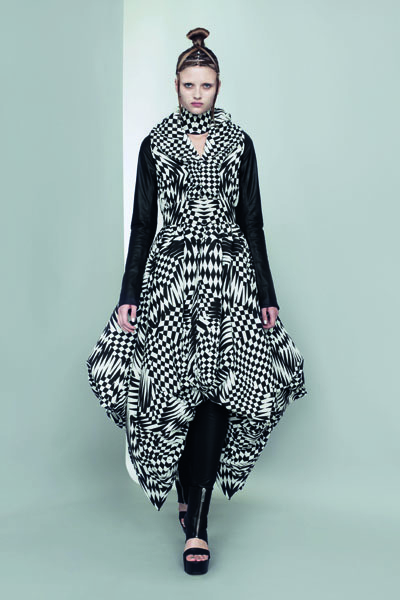 For now the British designer Gareth Pugh sticks with video to present his collection. Not that it’s cheaper or saves time, but it makes him show and express his collection in the way he wants it. The collection is built around modular jackets, rubberized neoprene, stretch silk jersey and high-tech effects of geometric silicone pattern and digitally printed clothes. It is possible to order the garments directly while watching the video online.